Discussion in 'The World has gone to Hell' started by Tyler Durden, Feb 13, 2019. After yet another US Navy sail-by operation in the South China Sea early this week, which sparked fury in Beijing, and following a series of provocative Taiwan Strait passes by US ships over the past months, the commander of US Indo-Pacific operations has again warned China to back off. Adm. Philip Davidson told lawmakers on Tuesday that China represents the “greatest long-term strategic threat to a free and open Indo-Pacific and to the United States.” He testified before a Senate Armed Services Committee hearing that US-China competition represents "two incompatible visions of the future." Warning that the geopolitical rivalry and situation is actually worse than most pundits believe, he said, “Those who believe this is reflective of an intensifying competition between an established power in the United States and a rising power in China are not seeing the whole picture,” during an opening statement. “Beijing seeks to create a new order, one with Chinese characteristics led by China, an outcome that displaces the stability and peace of the Indo-Pacific that has endured for over 70 years,” Davidson added. Adm. Davidson's testimony is sure to be received in Beijing as a fresh attack connected with Monday's "freedom of navigation operation" involving two Arleigh Burke-class destroyers — the USS Spruance and the USS Preble — which sailed within 12 nautical miles of Chinese bases in the contested Spratly Islands. The navy's own rhetoric has gotten noticeably direct of late, as it described the purpose as "to challenge excessive maritime claims and preserve access to the waterways," while also underscoring America's right to "fly, sail, and operate wherever international law allows," Cmdr. Clay Doss, a US Navy 7th Fleet spokesman, told CNN. More broadly, according to The Hill, Davidson described the implications of Chinese tactics as increasingly hindering "the international free flow of communications, oil, trade, other economic means, cyber connectivity and the movement of people." 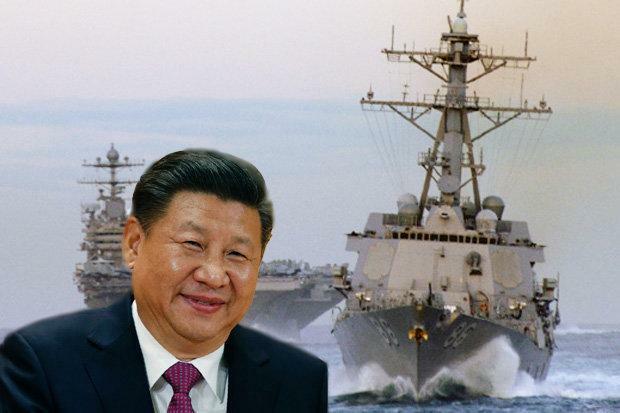 Meanwhile, each incident in both the East and South China seas will surely only get hotter, with the potential for "near miss" incidents growing, potentially sparking direct conflict between two super powers.